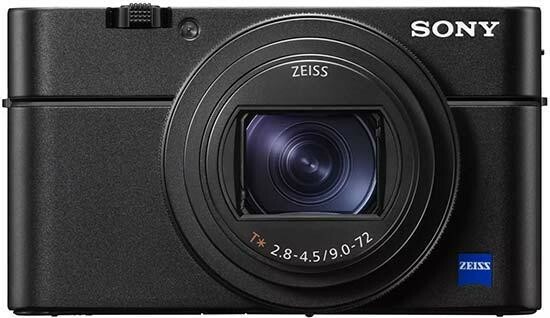 The Sony Cyber-shot RX100 VI is a new premium compact camera with a 20 megapixel 1-inch sensor, 24-200mm zoom lens, 24fps burst shooting, the World's fastest auto-focusing of 0.03 seconds, and 4K vieo recording. The new Sony RX100 VI will ship in Europe in July priced approximately £1,150. Additionally, a first for the RX100 series of cameras,the RX100 VI includes Sony’s advanced High-density Tracking AF technology, whichconcentrates AF points around a subject to improve tracking and focus accuracy. Thepopular Eye AF technologyis also available with approximately 2x the tracking performance of the current RX100 series model. [ix]Furthermore, the camera has LCD touch focusing and touchpad focus point control for users that would like to drag their fingers to ideal focus points of their choice.